There are two basic styles of the frame story. 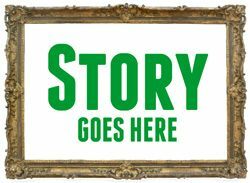 SINGLE STORY FRAME: Where the author starts and ends with the same framing narrative voice and tells one inner story. Sometimes the frame narration interrupts repeatedly throughout the inner story and sometimes it doesn’t. An example of this type of narrative with interruptions is The Princess Bride. The frame narrative involves a grandfather reading the storybook to his sick grandson, who interjects his questions, and the inner story which is the adventures of Buttercup and Westley. The central themes of both stories are the importance of love and family. CYCLICAL FRAME STORY: When the author tries to unify several inner stories into one cohesive unit. In this case the frame is sometimes externally imposed on the other stories and might only loosely bind the collection of stories together. For example, in The Thousand and One Nights, the frame consists of the story of Scheherazade, who avoids death by telling her king-husband a story every night and leaving it incomplete. To experiment with different ways of expanding a central theme. To incorporate changes to the central theme over time. To connect a large number of short stories into a single narrative. To play with the role of the narrator, perhaps to trick the reader into buying into the narrator’s version of events. To change the point of view so different characters can give their own interpretations of the same key event. For my project I’m doing the second type, with the cyclical frame. I’m using The Decameron as my retold story. For those who are unfamiliar with the story it’s about a group of nobles who hide out in the Italian countryside during an outbreak of the Black Death. To amuse themselves and each other they tell stories each night and the stories reflect and expand on the noble’s concerns about the world they live in. It’s easy to get lost while you’re creating each short story and forget the theme. I’m working with betrayal as my central theme, so each of my stories deals with how someone reacts to a betrayal. Find ways to fuse the frame and the inner stories together. Aspects from each part should either contrast or complement the other. In my case, each narrative plays off the same location and setting. Also each of the frame characters has an echo character in the inner stories. Form a plan for keeping voices distinct. I created a set of vocabulary notes for the frame narrative’s voice, then another set for the storytellers in the inner stories. In my case this created an extra level of planning. I’m sure I’ll have a lot of cleaning up to do, but I didn’t want each story to sound like the same person told it. The frame narrative and the inner stories need separate timelines. I’ve already started to get a tad out of order with my inner stories and it’s only a few days into NaNo. I messed up by creating a single timeline for the project and I needed to backtrack. Now if I want to reorder something from the inner stories I can figure out where it goes back into the frame narrative timeline without messing everything up. Even though I don’t plan on anyone reading my story this way, I feel the frame story should be able to stand alone. In hindsight I think I should have written the frame first. Since I missed that step, the best I can do is read the frame separately and see if it would make sense as a solo piece. If I’ve failed, I’ll have to go back in and rework it. I’ve also followed in the footsteps of other cyclical frame authors and attempted to create inner stories that can stand alone. Read some narrative frame stories. It’s amazing how many frame stories are out there. Study how different writers use this device and you will learn a lot. I think one of the most difficult aspects of the frame story is keeping the main narrative story sounding fresh when the ending is partly known. Sometimes the closing frame needs a little unexpected punch. Rose drops the necklace everyone is looking for over the side in Titanic. In Kipling’s The Man Who Would Be King, Carnehan shows the narrator Dravot’s severed head, still wearing his golden crown. If anyone out there has some experience crafting a frame story, please share your tips and tricks for making it work in the comments. With the month ticking away on me, I need all the help I can get. I am struggling with a good way to transition my first frame into my second, and thinking of a topic for my second and third frames. I only have to go 3 frames deep, but I’m not even sure of what I want my major themes or character traits to be. Any suggestions? I am in the middle of one and doing a bad job with the bridges between stories. Everyone who has read it says they are confused as to who is talking and they feel like it jumping around. Any suggestions? Hi Gabrielle, I’m sorry to hear you’re having trouble with your frame story. They are hard to get right. Try to take comfort in knowing you are not alone. The best general advice I can offer is read other frame stories. Each one has a slightly different spin on how they use the frame. You may need to bring in a second story device to help with the transitions. Good luck! I liked the way O’Brien did “Sweetheart of the Song Tra Bong” It lost me in the historical context of the war and how the girlfriend turned evil. While most of the other stories in his collection are about “carrying”, this one stayed put and watched other characters.